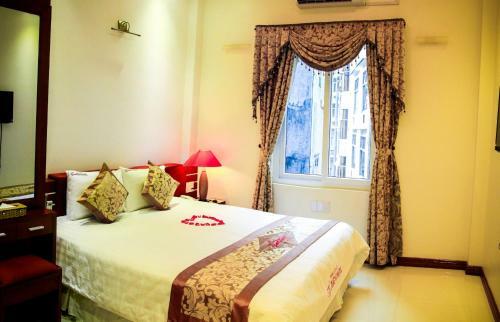 Starlight Hotel is located 400 metres from the Ha Long Night Market. It houses a bar and offers complimentary WiFi access and free private parking spaces. 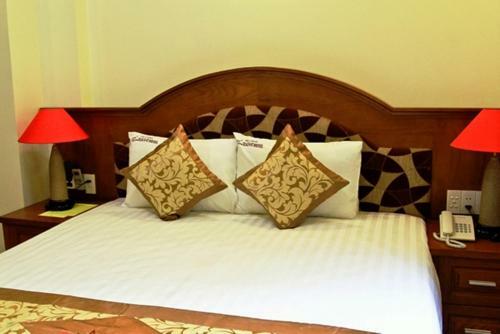 Located in Ha Long, the hotel is 37 km from Cat Bi International Airport. 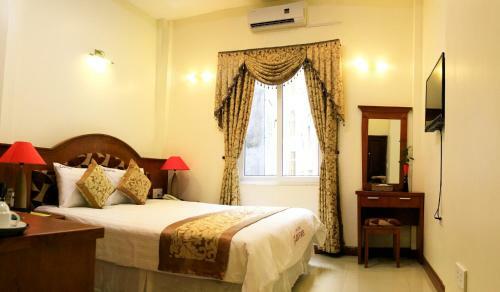 Offering city views, rooms feature a flat-screen TV with cable channels, a minibar and a wardrobe. The private bathroom comes with shower facilities, toiletries and slippers. Room service is provided. Guests can make travel arrangements at the tour desk. Staff at the 24-hour reception can assist with luggage storage, laundry, ironing and currency exchange services. Car and bicycle rental, as well as airport shuttle services are also available.